Sometimes you just have to stop what you are doing and appreciate plant life. Kenny Cochran of Secrest Arboretum fame always loved plants in combination, especially after he came back from a trip to Poland with an appreciation of clematis twining up trees, wild-like. 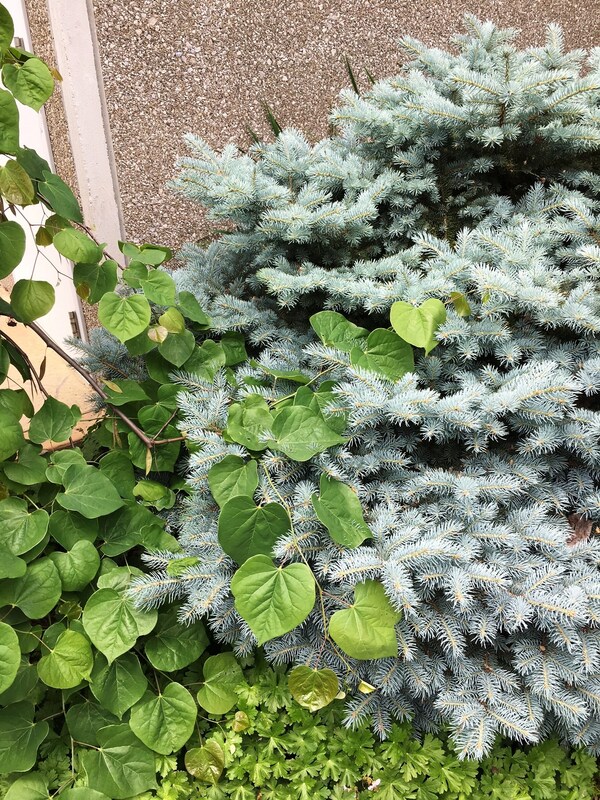 Today Paul Snyder of Secrest sent me a picture of blue spruce needles piercing leaves of Tim Brotzman’s great redbud: Cercis canadensis Lavender Twist® ‘Covey’ and the two plants entwined. How cool is this? Now I think I’ll open me up a book of poems, written by an Italian poet…from the thirteenth century.